Port Adelaide left Perth this morning with more questions than answers, never a good position to be in. And most of those questions will revolve around a playing list that has now failed three years in a row. Failed to live up to expectations. Failed to be mentally tougher when required. And failed to implement a good plan that will win football matches. The bigger questions will also include Port’s off-field staff, a group that is tolerated rather than loved. Port’s lack of interest and intensity yesterday in Perth against a side out of finals calculations and struggling was a worry. Why couldn’t Port get up for a game that was so important to its finals ambitions? Why does this Port Adelaide side fail so often, so badly against teams they should be beating, yet excels so often against Hawthorn and Adelaide and the better teams in the competition? And what of Michael Voss and Nathan Bassett? Port fans often see those two as the ‘enemy within’ when Port fail to fire, but is that a reasonable attitude to have? Right now Port have nine more games to sort out their list. That means the last nine games ever at Port Adelaide for the likes of Amon, Butcher, Mitchell, Stewart, O’Shea. And it means that Ebert and Hartlett must now be put on notice. One bad season is forgivable, two stretches the patience but three poor seasons in a row, where ambitions and expectations are unfulfilled cannot happen without serious repercussions. Port are missing Ryder and Monfries, but that was expected this year. They’ve had to also do without their fullback and full-forward for most of the season. That’s just bad luck. Using injuries as an excuse doesn’t work, because every club has injuries. Port’s run of bad luck hasn’t helped, but the 22 players who do take the field must be expected to perform. They haven’t. 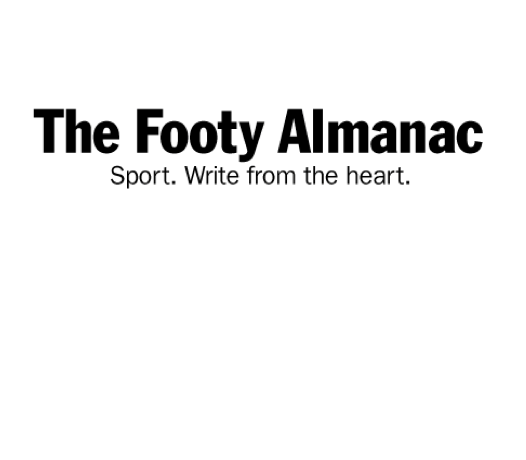 Jasper Pittard, Darcy Byrne-Jones, Robbie Gray at times, Ollie Wines at times, Dixon and Neade have all been more accomplished this season and have progressed. Others haven’t. Ebert and Hartlett are not influential enough. Captain Travis Boak has had an ordinary year and those three are Port’s leadership battalion. If the rumours are true that there are internal divisions then that must be stamped out now. Get them in a room, sit them down and sort it out. Ken Hinkley, always so impressive when talking but perhaps less impressive on match day must improve too, must find new tricks and must find a new way to motivate his troops. Because a team that can switch on against the Bulldogs last week yet lose so embarrassingly to Fremantle the following week has a mental problem. A motivation issue, that will need more than a coaching rev up to change. Voss came to Port has a failed coach. Let’s not forget that. Granted he had little to work with at Brisbane. But that’s a concern. Bassett at success at SANFL level, but that’s about four levels down and then some from AFL standard. Changes will happen over summer no doubt. Port needs to refresh its playing list, hamstrung so badly this year by Essendon’s cheating and the AFL’s weakness. But Port’s issues go beyond two players – bad mental attitude and division wreck football seasons, and ultimately teams and clubs. It cannot be allowed to set Port back to the dark old days circa 2011. The last nine AFL games in season 2016 must be used to work out who at Port Adelaide wants an AFL career, and who simply isn’t up to the demands. Because there are 60,000 paid up members seeking answers. And they won’t be placated easily. Seems fair overall to me Chris. I agree with the de-listing of Amon, Butcher, Mitchell, O’Shea, Stewart too, all honest tryers, but with significant limitations. Others also have not reached last year’s level – Sam Gray among them must be close to the high dive. Have mentioned before that I do not rate Bassett and would not have him there at any time. I have thought for some time that our recruiting is sub-par in terms of the physical size and body characteristics of our players. My observation on TV and thru binoculars at AO is that, at the start of games and centre bounces, when our blokes stand next to their opponents (hopefully), ours are physically smaller, lack muscle definition, height and general strength. Ollie Wines excepted. Skills are all very well, but when you play Freo and they make it an old fashioned scragfest, we are cactus. As for the mental side, we have been soft there for too long and if there are internal divisions, they will make it worse. Some heads need to be banged together or people shown the door. Perhaps the powers that be could address some of this before they go tootling off to China again… Trouble is, many of them are now on long term contracts, so will be hard to move on. All too depressing, especially as the Frootloop band wagon is gathering more steam than a Richmond one!